Christ the King Cathedral and ISKCON Gaborone are good opportunities to explore the local culture. Pack the 22nd (Sun) with family-friendly diversions at Lion Park Resort. The adventure continues: look for all kinds of wild species at Mokolodi Nature Reserve, admire the striking features of National Assembly Building, stop by Botswanacraft, and contemplate in the serene atmosphere at BHCT ( Balaji) Temple. 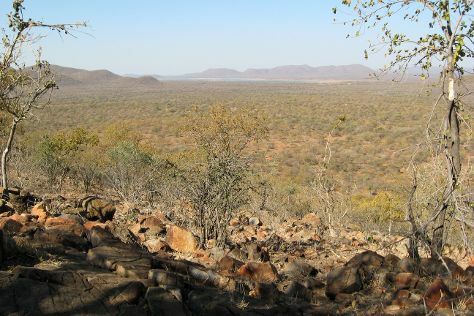 To see traveler tips, ratings, reviews, and more tourist information, read our Gaborone vacation planner. Amsterdam, The Netherlands to Gaborone is an approximately 22.5-hour flight. You'll lose 1 hour traveling from Amsterdam to Gaborone due to the time zone difference. Traveling from Amsterdam in April, expect nights in Gaborone to be much hotter, around 23°C, while days are somewhat warmer, around 24°C. Cap off your sightseeing on the 26th (Thu) early enough to travel to Okavango Delta. On the 26th (Thu), look for all kinds of wild species at Okavango Delta. Get ready for a full day of sightseeing on the next day: look for all kinds of wild species at Moremi Wildlife Reserve. 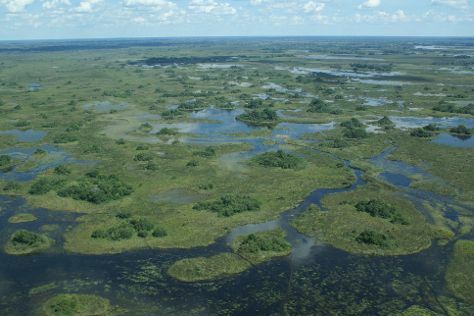 To see where to stay, other places to visit, photos, and more tourist information, you can read our Okavango Delta trip builder. Getting from Gaborone to Okavango Delta by flight takes about 3 hours. Other options: take a bus. When traveling from Gaborone in April, plan for a bit warmer days in Okavango Delta, with highs around 35°C, while nights are a bit cooler with lows around 19°C. Finish up your sightseeing early on the 27th (Fri) so you can travel back home.